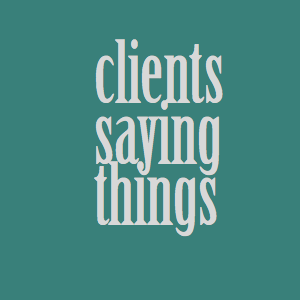 Here are some of my awesome clients saying very nice things about Twune. John gets it right the first time, every time. He is a master of his craft, with decades of experience, and working with him on many games over multiple years has been an absolute pleasure. The work he's produced for me has been recognized as the finest amongst his peers, winning both the FGL NInja Award for Best Audio in both 2012 (for Commie Crush) and 2013 (for Fractured). John's work ethic and meticulous process is second to none. You convey the message or emotional overtone and he'll take care of the rest. The best part? John involves you every step of the way, from first draft to final mix. By being involved in the whole process, you'll save time and money by avoiding costly rewrites or rerecordings. You'll also end up with a better final product that matches your artistic vision. Don't treat your audio needs as an afterthought. Hire John. It's always a pleasure to work with John. Because he has written the audio for many games, he understands pretty well what is needed, well beyond my instructions. He overlays his audio on gameplay footage of the game, and this is very efficient to see how well the audio fits the game. I'm looking forward to work with John / Twune once again. Twune made the sound effects for Wacky Wings. I didn't have a clear idea for some of the sounds, and others I described poorly... but John worked out what was needed and provided a great set of effects, with a very detailed description of how to implement them. The final set was delivered ahead of the estimated time, and the 'concept video' was incredibly useful during the development to see how they would fit with the gameplay. I highly recommend Twune for your game audio development! A true producer in the classic sense. John has produced my former band as well as my solo material and has knocked every song I've ever brought him out of the park. He has the ear of an audiophile and an unbelievable sense for arrangements and songwriting. Extremely professional, timely, and one of the nicest people on the planet.